An 8.9 earthquake is tragic enough. 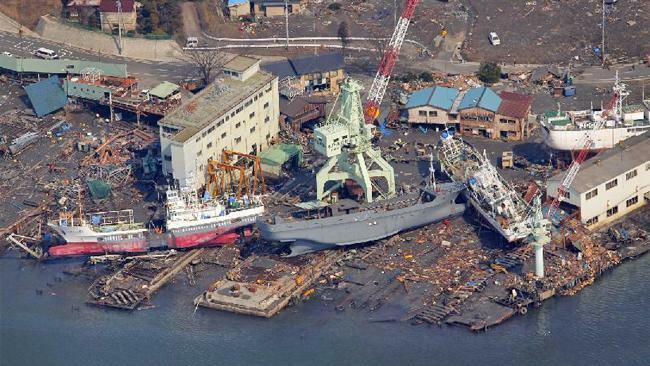 But unfortunately, Japan endured more than just the quake as a tsunami swept the nation soon thereafter. After the ground stopped shaking and the water stopped ripping across the island state, it was time for rescue workers to rush to the scene to try to save as many survivors still caught in the wreckage as they could. Thousands upon thousands of homes and buildings were completely annihilated in the catastrophic disaster. Nuclear power plants in the state are on the verge of melting down as workers are having trouble controlling the plants after the damage occurred. And on top of all of that, the confirmed death toll is already deep into the thousands. Survivors have been rescued from various locations. Many were on the rooftops of buildings. Others was found in vehicles, trees, and fighting against the currents for their lives in the water. With a reported near 15,000 people already saved from the carnage, tens of thousands more remain unaccounted for. However, the survivors now face a brutal reality. Their possessions, and in some cases their entire hometowns, have been completely swept away and gone for good. President Obama has already sent over some relief assistance and says he is ready to send over much more in order to help the Japanese recover as soon as possible. Even as more people are found and the death toll can be confirmed once and for all, the recovery process is by no means going to be a quick one. The fight to keep the nuclear plants contained is still going on. Towns are still drying up. The recovery process is going to be more than just rebuilding the towns and buildings. There is an emotional and psychological aspect as well. The people of the nation are going to have a very difficult time moving on with their lives. Thousands have lost all they have owned. The locations, which were once where the people made countless memories, are now gone. And worst of all, far too many people to count lost friends and loved ones in the tragic event. As Japan continues its relief effort, the rest of the world is doing what it can to help, in big ways and small.